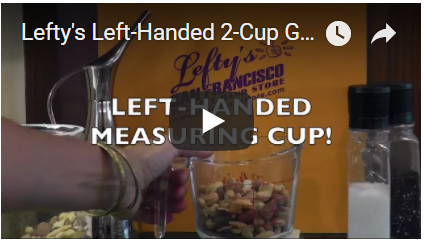 Lefty’s the Left Hand Store launches a series of videos showing how to use left-handed tools. "If you've learned to wear two right shoes, wearing a right and a left one takes some getting used to." 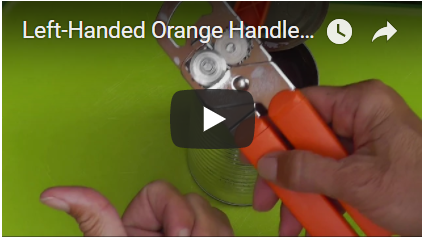 Lefty’s the Left Hand Store launches a series of videos showing how to use left-handed tools. Older lefties have adapted to a right-handed world because they had to. It wasn’t easy, and often they’re not eager to learn how to use scissors, for example, all over again. Muscle memory is powerful. If you’ve learned to wear two right shoes, wearing a right and a left one takes some getting used to. But, once older lefties have practiced, and understood the ergonomics of tools that are designed especially for left-handed use, most of them just can’t believe it. Why did they have to go through all those years of feeling clumsy, or having pain in their hands from using right-handed scissors and writing implements? 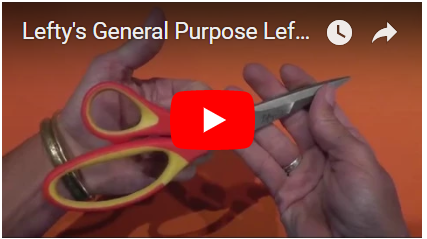 For a left-hander, using a right-handed scissor just doesn’t work very well. If you are a right-hander, try using a left-handed scissor. You will actually not be able to cut. The blades are reversed in left-handed scissors. Lefties have spent their lives developing work-arounds. A good example is the corkscrew. A standard corkscrew turns clockwise, allowing the user to hold the bottle in their left hand, and rotate the screw with their stronger right hand. The typical lefty strategy is to rotate the bottle to wind it onto the corkscrew, because their left hand is stronger. While these strategies can be made to work, they result in poor motor control, painful joints, awkward postures, and a host of damaging self-images. The Left Hand Store has received letters of profound gratitude from lefties of all ages. Students have even told Lefty’s that the left-handed spiral notebooks help them THINK better. Muscle memory is powerful. If you’ve learned to wear two right shoes, wearing a right and a left one takes some getting used to. But it’s infinitely better, in every way. If the shoe fits (your left foot), wear it!